We successfully reached our goal of educating our young riders and their parents about how to bike safely in our community. 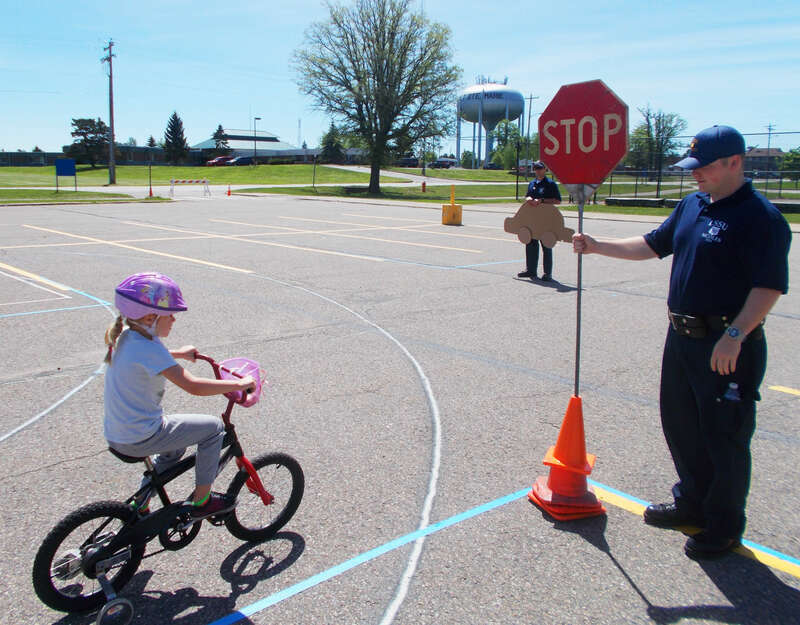 The bike rodeo was designed to be a family-focused event where participants were given a handbook to visit a series of stations to learn about bike maintenance, bike safety, ride an obstacle course, and create a bike-related craft all of which helped impact ridership and safety. The stomp rockets that the children made from repurposed bike tubes were an absolute hit! Once the handbook was completed, children were treated to a root beer float donated by our local Soo Brewing Co.
BFS really felt we reached the youth in various ways to advertise the event and feel we will grow from here. LMB bike safety pamphlets, with a ‘save the date’ flyer, were sent to every k-5 student in our area schools. BFS members were on the radio twice, a Facebook event page was created, posters were up downtown, and an article was placed in the paper (Sault News). The League of Michigan Bicyclists was properly mentioned, and a logo was present in these ways as a means of advertising. Our Sault Ste Marie community continues to amaze us. The support we received was very encouraging. LMB joined other committed partners such as Capstone Leadership Solutions, Parker Ace Hardware, Soo Brewing Company, Pro Sports, Eagle Radio 95.1, Wicked Sister, Sault Ste. 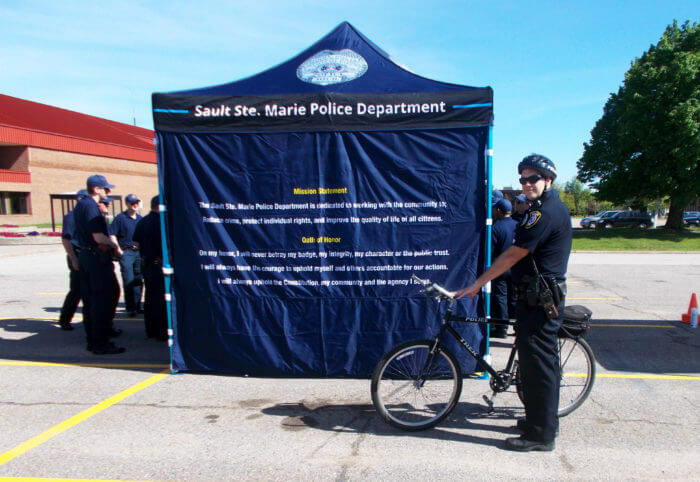 Marie Economic Development Corporation, Lake Superior State University, and Sault Police Department. BFS once again thanks LMB for having the confidence in our group to be a recipient of the 2018 Micro-Grant.